Back when I was a JC kid who spent evenings kicking balls on a muddy field (Now, it’s all synthetic grass. Bleagh! ), I was completely obsessed with sports brands, one of which was Nike. Especially Nike. Their slogan 'Just Do It' can be interpreted in a gazillion ways but for the meek 17-year-old me, it meant grabbing every opportunity that came my way… No matter how tired I was, how lazy I felt and how many doubts my insides were casting upon me. My JC life was far from being smooth but it was a time when I started venturing out of my comfort zone, pushing my boundaries and just doing the things that I really wanted to. So gawd knows how over the moon I was when Dad got me my very first soccer boots from said brand. They were red and loud and extremely proud to have 2 big white ticks emblazoned across their lengths. And then, both of my school and shoe bags were Nike, my socks were Nike, my water bottle was Nike... You get the picture. Heh. Even though I have hung up my boots a long time ago and am no longer that brand-conscious, I swear my heart skipped a beat when I stepped into their Raffles City outlet recently to look for yoga gear. And... And the tiniest hint of the vines of obsession taking root. Heh. 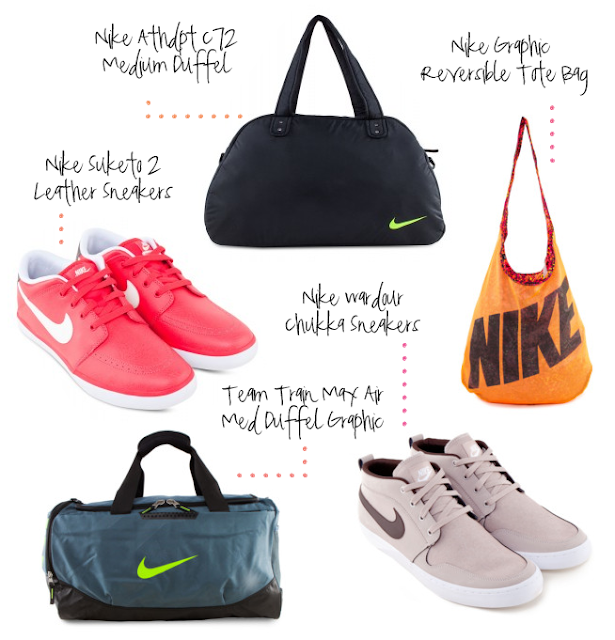 View Nike at Zalora Singapore here.